Do you have children who love to explore? 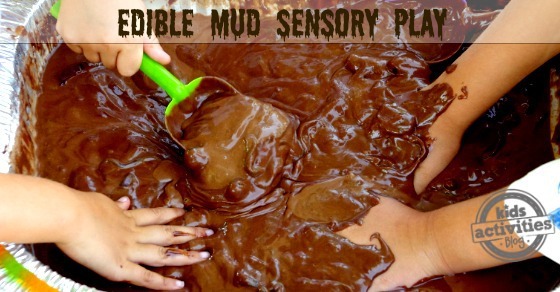 This edible mud sensory play activity will give them the experiences they crave, but it is a safe experience for kids of all ages because all the ingredients are edible…and delicious I might add. You should also have all the ingredients in your kitchen pantry already, so convenient! Related: If you are looking for more sensory experiences, you must see our post with over 200 sensory bin ideas. I am a huge proponent of getting kids into the kitchen. They learn so much by “helping” prepare food. And this is the perfect opportunity for your kids to explore dumping and pouring with you. None of the measurements need to be exact. There’s a huge container for the mixing, so kids have a less likely chance of spilling. I simply bought a dollar store foil tin so that I could throw it all away in the end. Easy clean-up is always a bonus. * Note: These were the proportions we used. This is a very flexible recipe. You can really estimate these ingredients as you are working. If the mixture starts to solidify, just add a touch more water. Mix all of the ingredients together and stir, to create mud. 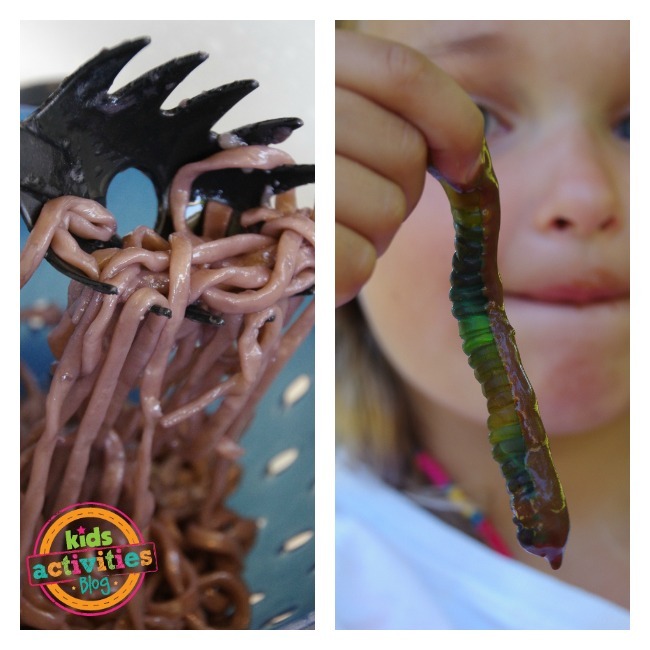 It is fun to add worms to your mud. I used udon noodles, boiled in water with black food coloring added. I also added gummy worms, which were all eaten. I chose Japanese udon noodles because of their thickness, but you could use spaghetti or yakisoba noodles also. 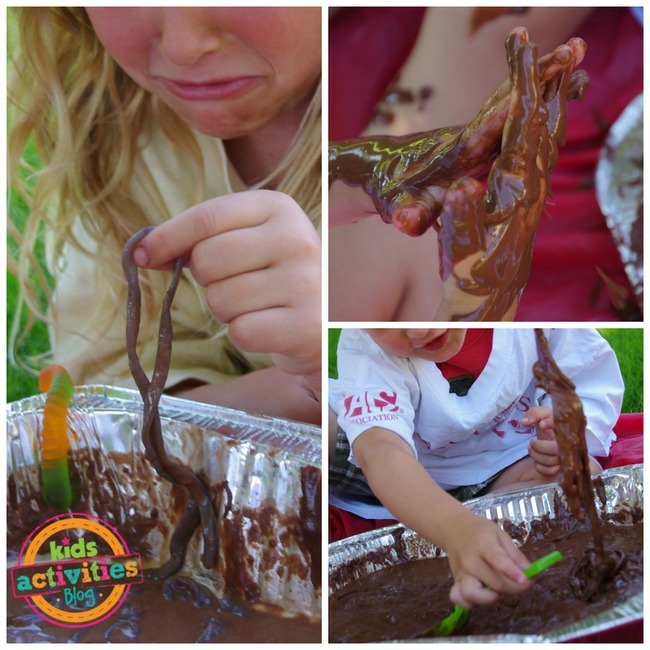 The kids will love squishing their hands in the muddy mixture. 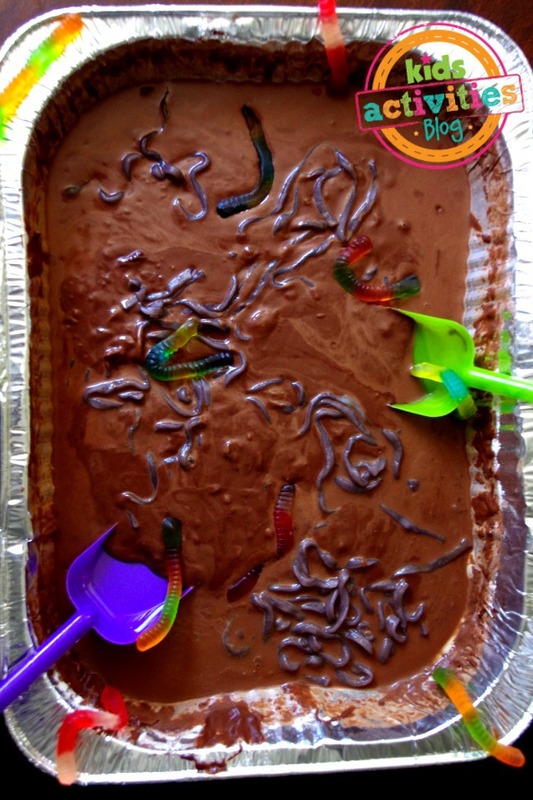 Get some disposable foil pie pans if they want to make mud pies. 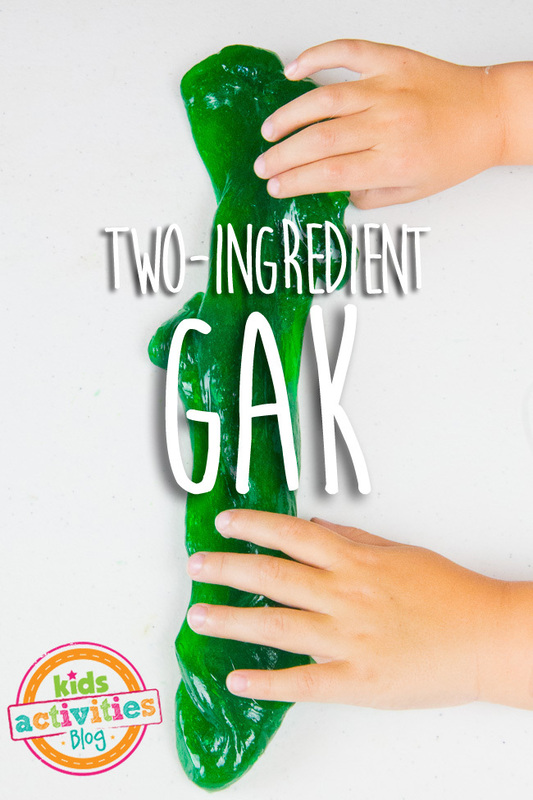 The little ones won’t be able to resist licking their hands, and that is allowed in this sensory play activity. Use a disposable roasting pan from the Dollar Store. Use a Dollar Store plastic table cloth underneath your kids and the pan. Wear large old t-shirts that can get messy. When play is done, wrap the plastic table cloth around the disposable roasting pan, and tie a knot to seal in the mess. Dispose. Strip the kids down and hose them off. 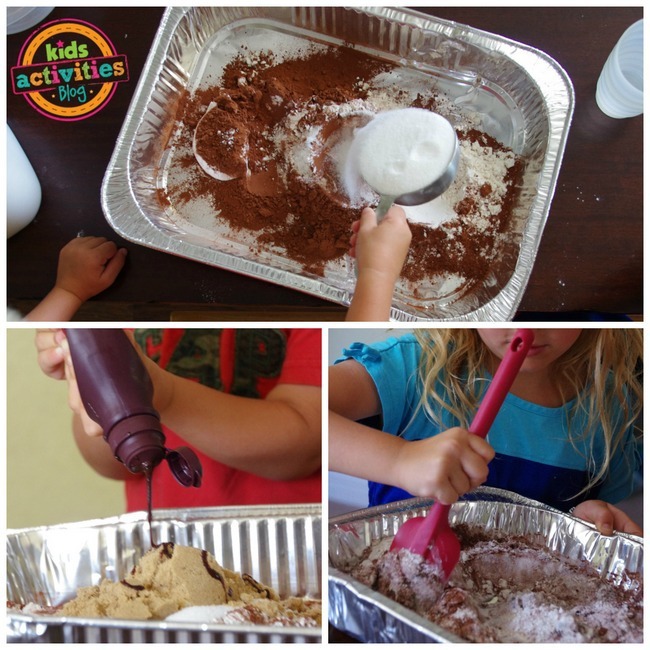 Leave a comment: What fun extra ingredients do your kids plan to add to this edible sensory activity? Perhaps some candy? Previous Post: « This Funny Dad Copies His Daughter’s Gymnastic Moves!